While the market driven by short-term sentiment influenced by uncertainty regarding the future of the interest rate environment in the US, declining oil prices and the trade war with China, many smart money investors are keeping their optimism regarding the current bull run, while still hedging many of their long positions. However, as we know, big investors usually buy stocks with strong fundamentals, which is why we believe we can profit from imitating them. In this article, we are going to take a look at the smart money sentiment surrounding Alphabet Inc (NASDAQ:GOOGL). Is Alphabet Inc (NASDAQ:GOOGL) ready to rally soon? Prominent investors are becoming hopeful. The number of bullish hedge fund bets moved up by 12 in recent months. GOOGL was in 137 hedge funds’ portfolios at the end of September. 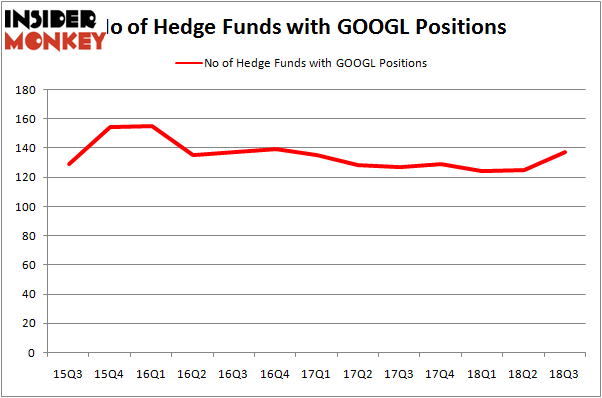 There were 125 hedge funds in our database with GOOGL holdings at the end of the previous quarter. GOOGL was the fourth most popular stock among hedge funds at the end of September (see the list of 30 most popular stocks among ALL hedge funds). Today there are plenty of tools shareholders put to use to appraise their stock investments. 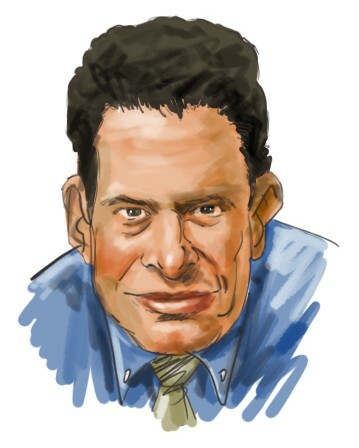 Two of the less utilized tools are hedge fund and insider trading interest. Our experts have shown that, historically, those who follow the best picks of the best hedge fund managers can outperform the broader indices by a healthy margin (see the details here). Let’s take a peek at the fresh hedge fund action regarding Alphabet Inc (NASDAQ:GOOGL). What have hedge funds been doing with Alphabet Inc (NASDAQ:GOOGL)? At Q3’s end, a total of 137 of the hedge funds tracked by Insider Monkey held long positions in this stock, a change of 10% from one quarter earlier. Below, you can check out the change in hedge fund sentiment towards GOOGL over the last 13 quarters. So, let’s find out which hedge funds were among the top holders of the stock and which hedge funds were making big moves. More specifically, Citadel Investment Group was the largest shareholder of Alphabet Inc (NASDAQ:GOOGL), with a stake worth $1752.4 million reported as of the end of September. Trailing Citadel Investment Group was Fisher Asset Management, which amassed a stake valued at $1534.3 million. AQR Capital Management, Lansdowne Partners, and Diamond Hill Capital were also very fond of the stock, giving the stock large weights in their portfolios. Now, key hedge funds were leading the bulls’ herd. Renaissance Technologies, managed by Jim Simons, created the biggest position in Alphabet Inc (NASDAQ:GOOGL). Renaissance Technologies had $223.2 million invested in the company at the end of the quarter. Alexander Mitchell’s Scopus Asset Management also initiated a $112.9 million position during the quarter. The other funds with brand new GOOGL positions are Frank Brosens’s Taconic Capital, David Costen Haley’s HBK Investments, and Ian Simm’s Impax Asset Management. Let’s check out hedge fund activity in other stocks – not necessarily in the same industry as Alphabet Inc (NASDAQ:GOOGL) but similarly valued. We will take a look at Alphabet Inc (NASDAQ:GOOG), Berkshire Hathaway Inc. (NYSE:BRK-B), Facebook Inc (NASDAQ:FB), and Alibaba Group Holding Ltd (NYSE:BABA). This group of stocks’ market values match GOOGL’s market value. As you can see these stocks had an average of 126.25 hedge funds with bullish positions and the average amount invested in these stocks was $17373 million. That figure was $14319 million in GOOGL’s case. Facebook Inc (NASDAQ:FB) is the most popular stock in this table. On the other hand Berkshire Hathaway Inc. (NYSE:BRK-B) is the least popular one with only 84 bullish hedge fund positions. Alphabet Inc (NASDAQ:GOOGL) is not the most popular stock in this group but hedge fund interest is still above average. When it comes to Google, we agree with billionaire Druckenmiller’s assessment. The stock is way too cheap for a company that’s investing huge sums into future technologies (i.e. its earnings are understated), yet trade at a forward PE multiple of 20. The recent price decline in GOOGL shares provided a very attractive entry point if you aren’t already invested in this stock. We believe investors will beat the market by staying away from low growth stocks that trade at similar forward earnings multiples and buying GOOGL. Should You Buy The St. Joe Company (NYSE:JOE)? Do Hedge Funds Love CorePoint Lodging Inc. (NYSE:CPLG)? Hedge Funds Are Crazy About Weyerhaeuser Company (NYSE:WY) Do Hedge Funds Love Martin Marietta Materials, Inc. (NYSE:MLM)? Is Visteon Corp (NYSE:VC) Going to Burn These Hedge Funds? Is Omnicom Group Inc. (NYSE:OMC) A Good Stock To Buy?